In this video Andrew Chatfield walk us through using Google Hangouts on Air to stream directly to YouTube Live. Andy is using a USB PTZOptics camera to connect directly to his Windows computer and use YouTube Live’s “Quick Configuration” which opens up a Google Hangouts on Air application. From Hangouts on Air Andy is able to set up his YouTube Live Stream. 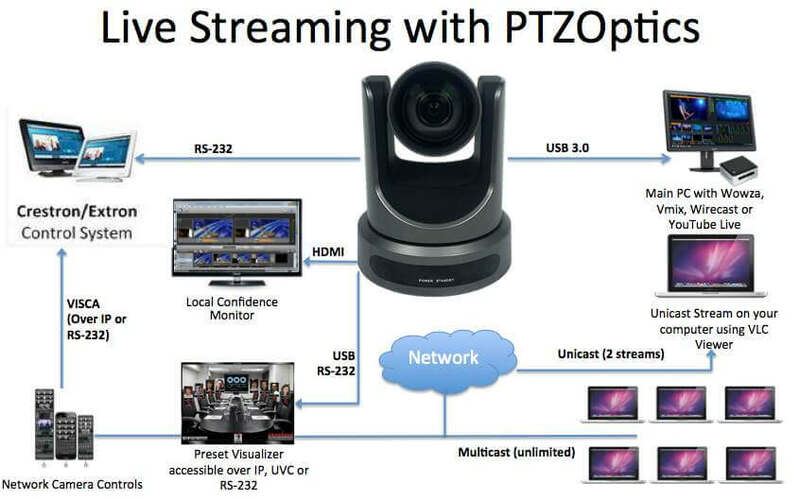 This is perhaps the easiest way to stream to YouTube Live and allows 100’s of thousands of viewers to view your live broadcast on your PTZOptics camera.